Has Samil Power gone bust? Samil Power are not answering their phones. The solar industry believes they have closed down – but there is no information that Samil has gone into receivership or administration. So what’s going on? Update, May 2018. Samil power has exited Australia. If the company you originally purchased your solar system off is still around, your warranty should go through them. If not, call your local solar company to replace it, or upgrade your system. If you are replacing the inverter, I usually recommend upgrading to a Fronius and connecting it to wifi so you can easily monitor your system via your phone or PC. The company that installs your new Fronius should also be able to monitor your system and give you feedback on its performance. The cost of replacing your inverter with a Fronius is usually between $2200 and $2500. If you are in Brisbane, Contact us for a quote. If you installed a small 2kW system in the early days, you may also consider replacing your entire system with a bigger one. Solar has come a long way in the last 5 years! Check out our pricing page. While in the early days, MC Electrical installed Samil inverters as subcontractors for a sales companies, we (for good reason) have never sold a Samil inverter. We have no warranty obligations at stake. But I hate it when my industry is dragged through the dirt with companies that shirk their warranty obligations. We often get calls from customers when they find our their solar system doesn’t work. When they try to claim their warranty, they find our the sales company they bought the solar system off has gone bust. This is when our dealings with Samil begin. For a long time, it was fine. We’d get the odd Samil inverter warranty from an Ex BioSolar customer and we could process a warranty and replace the inverter under warranty. Samil would pay a small fee for the processing and the customer would pay a small fee for the service call. However, since January 2016, Samil stopped answering their phones and stopped answering their emails. Even Jack from Samil (my last resort) was not returning my calls to his mobile. We were not the only ones: this silence from Samil was felt Australia wide. Today I was chatting with installers on a Facebook group who were once again complaining about Samil, and questioning if they had gone under. I figured it was time to make some phone calls. The Clean Energy Council said they had no jurisdiction over manufacturers, but when I suggested they should consider removing Samil off the CEC Approved inverter list, they took my point and told me they would look into it and get back to me. No time to wait around it was time to call the ACCC. The ACCC advised me that because I was not the consumer, they could not help me. They suggested I contact the QLD Civil and administrative tribunal on 1300 753228. They said that in NSW, VIC, SA and WA, businesses should contact the small business commissioner. I posted this information online, and also text messaged it to Jack from Samil. Finally, after months of ignored calls, I got a call back from Jack. Samil needs to answer their phone and emails. Put a process in place where you require a photo of the installation to prove that it was not in full sun. If the warranty is legitimately void, then so be it. We need to know. I refrained from posting Jacks mobile number to installers, but I shared the warranty claim process he suggested. We’ll both be in a conference in Melbourne this week (May 2016) and I’ll be sure to meet Jack in person. If you are in the greater Brisbane area, then contact us and we can help you with the Samil warranty process. If we have no luck, I’ll share Jack’s mobile. Conveniently Jack missed my message while we were in Melbourne last week. I spoke with a friend who works in the tech department for True Value solar. They have about 300 outstanding Samil warranty claims, and cannot get in touch with Samil either. I also got information from friend in the know as he manages warranties for another Chinese inverter manufacturing company. Samil are pulling out of Australia. Samil claim they are not dead. They claim they have not closed their door. They claim they are not even in hiding. Apparently they have been interviewing for a position to answer calls relating to warranties. We’re yet to see a Samil warranty claim successfully processed in 2016. If you are thinking installing a Samil inverter, don’t. If you need help with warranty, we may be able to help. Give us a call in business hours or leave a message on our contact page. Update – Read the comments below. Samil are back from the dead and answering their phones. 56 Comments on Has Samil Power gone bust? My Samil inverter has developed a fault "SCI communication fault" so I tried to contact them. One e-mail I tried go this response - Samil Power is bankrupt since a year now and doesn't provide warranty support anymore. I am their former engineer based in Italy and I run my independent solar inverters repair business since few months. To repair this issue I need your inverter on my table but to provide you a quotation I need the inverter serial number and your zip code for the shipment costs. Look forward to your feedback He quoted me 140 euros to repair and 40 Euros shipping each way to Italy (I'm in England). So I can only presume that after 4 years I will have to fork out another £500+ now? hi if my samil inverter has a green light and a blank screen am i getting a feed back from the grid. Hi Peter. I have bad news - Samil has finally exited Australia. Unless the company that sold you the system is still around, your warranty is gone too. My advice is to install a Fronius and get it connected to your wifi for monitoring. Hi, I have a Samil Inverter which has failed for the second time. The system was first installed in March 2012. The first inverter failed sometime in 2015. After many enquiries I able to get a contact number 1300253545 & after some hassles was able to get a replacement Inverter under warranty. I discovered early 2017 that my electricity bills were increasing & I wasn’t being reimbursed for power being fed back to the Grid. I checked my system & found that the Inverter was not working. I have contact a number of phone numbers to no avail. A friend that I go onto the internet & look up Samil & see if I could solve my replacement problems. Can you help us. Peter & Helen Mc Ewen. Hello, I was wondering Don McKenzie, was your system installed by Austar Solar? I've been told that they were using cheap isolators, which crack and let in water. My switch burnt out, which Austar solar did pay to have replaced. A friend though had a fire on her roof from this and they have been rude and very difficult to deal with getting hers fixed and they didn't even apologise for a fire that could have killed someone. My Samil inverter, although (touch wood) still working, is bubbling up with what looks like corrosion or rust damage under the paint. Its warranty runs out very soon and like everyone else, no answer when I call. I contacted Samil in Feb to advise my inverter was displaying a fault. 1 month after installation 4 years ago, it had a fault and was fixed. 4 years down the track, it has another fault displaying. contacted Samil in Feb, they advised yes this unit is under warranty but it is a refurbished unit. They were to send a new inverter unit out and gave me a job number to monitor on their website. To date, i have not received it. to date, they have not replied to my emails or phone calls. I can no longer log onto their website. Small inverter has died again. First time took months to get replacement. Phone number in Sydney goes to a full message bank. Guess I have to buy another type. Pricks. Hi Tim, I don't think you will have any luck with Samil. I'd be replacing it with a Fronius. Though, your original installer should be responsible for the warranty right? Hi there, My Samil power unit is only 3.5yrs old and it now has a relay fault. I'm in NZ and there are no contact numbers available. No australian website loads. Could anyone direct me where to go from here? Hi Dang. Sounds like it would be worth lodging a complaint at least. Samil are useless. 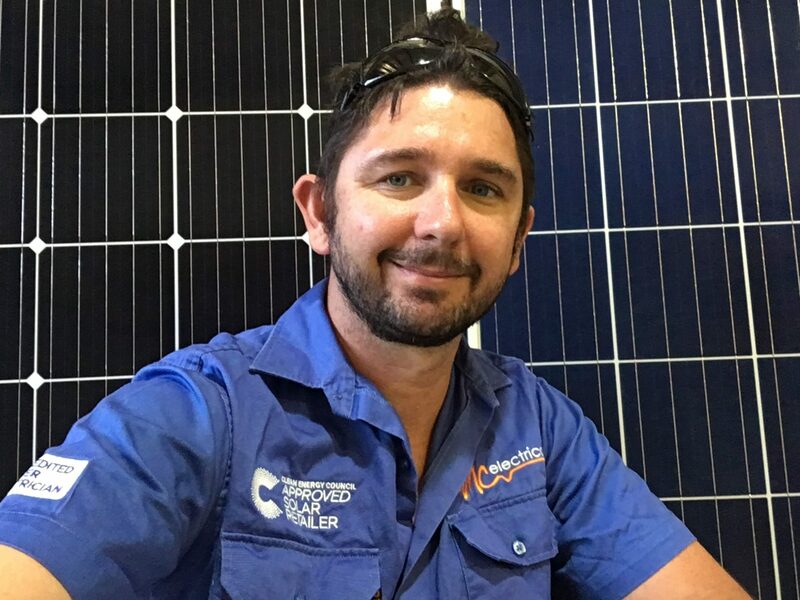 Hi Mark, I have a 5kw inverter and have samil replace it 5 times in 2016 and the one now just die about 2 days ago and after reading your blog i dont like my chances of getting the 6 one. I was just thinking would it be worth it to get a class action and bring samil to court? since there are so many customers are out of pocket cos of their bad quality product. Hi, Samil are answering their phones, sometimes, but when you get through nothing is being done anyway.I My 5 kw inverter has been out for over 90 days and I am just getting run around. Today I tried to be transferred to head office and they said they would have someone call as they ( 02 9643 7788 which they say is their service centre) that they are only an agent. Had Samil solar installed 8th month 2011. Has been showing "relay failure" every now and then , after reading the instruction book it seemed that it was something that happened and wasn't a problem and it restarted when I rebooted it . Three days ago it happened again but I had to reboot it several times before it came on and I have had to reboot it every day since . Found this blog while waiting for the installer to call back Their immediate answer was we will quote on a new inverter , I told them I had read about heavy rain and split isolated box causing the problem as the inverter is doing all the right things once restarted .... The upshot was I have to pay ( upfront before they will even book it ) for a service to find out if that's the problem ( $199.00 ) . Thanks to Don McKenzies blog I haven't just gone straight to a new inverter and I will be giving Consumer a call on Monday for more advice . Hey Sophie Martin from JR Tech Life Llectrical, that's a fairly dodgy way of trying to get back links don't you think? Thanks Mark. Yes, I had already narrowed the field down to Fronius, which luckily also appear to be reliable, and reasonably priced, at least here in SA. My Samil 2.2kw inverter suddenly stopped working - "relay failure" - just out of warranty. Contacted installer who said he could supply a "refurbished" unit with new circuit part, the excuse being that the original models were made with a part which isn't tolerant to voltage spikes. If this was corrected in later models, why didn't Samil offer to replace the part whilst still under warranty? I will not be taking up the offer of a "refurbished" unit (no idea where they get them from). But an offer from Samil wouldn't go astray, as these units are certainly not "fit for purpose", which is an essential requirement for any goods sold. However it is evident that Samil will not reply to my emails etc. Best solution - avoid any Chinese made inverter and buy a reliable European made model, which I will be doing soon. Yes i have had the same problems with samil i have been in touch over 40 times email and phone. They have admitted inverter is faulty 18 months old with 10.5 year warranty. I am discusted with the way they treat all claims no idea if or when they will be giving me a new inverter for my customer. Any ideas about all getting together and taking them on with the law it is breaking. Thanks Mark, Our closest service agent is Australia, I cannot remember who put me onto Samil, as normal once you have a product you notice all the better ones! Once upon a time batteries to gird tie systems were unheard of... When I was looking that is, but it seems to be a great option once you have a reliable Inverter. We were getting dollar for dollar (36c including GST) for grid contributions but now 7c (per kw) hence looking to battery upgrade options. Thanks for the read. Hi Mark, Interesting reading. I have a Samil 10kw inverter but with 8kw of panels. Its been installed now four years. A lot of the articles certainly sounded a bit trying on the consumers. I don't know what the symptoms of the failures were but noticed the flashing red light was mentioned. Ha I had that sometime ago. And found that the isolater box my sparkies put in on the roof was full of water, yep, the box was cracked, go figure. Got a new ones (two boxes, both cracked and full of water) myself and is all good. I have two strings of solar panels and one string seems to falter in continued wet weather so must have a bad connection somewhere as the Inverter will not function if there is an earth leak. My inverter is a Grid-tied one and I am looking at ways to convert it to battery storage with an auto off grid function. I see that Samil have a Solar Tank but the specs may not suit NZ standards. Hi my Samil inverter is broken with the red light flashing tried the reboot but still the same.The system was installed 13/11/13 is it worth me trying a warranty claim or just buy a new inverter.Tried phoning Samil but no answer now just about to fill in warranty form. Hello Bill Flint again. I have to correct a grave error I made in my previous rant. Samil Power address is not Lavender St Milsons Point, that is the address of Sungrow who I apologise to as they are a quality organisation. The address of Samil is: Unit 5 2 railway Pde Lidcome N.S.W. I google earthed it and there is a large commercial complex at that address. once again Go get Em. Good luck from Bill Flint. Yet another Samil customer same bull as everyone else our inverter failed due to relay failure last saturday 11th feb 2017. phone # 1300134793 and #0296437788 are set up to fail with operator #9010 cuts conection Emails same set up to fail. When I completed the waranty ticket the site is progammed to auto respond with confirmation of a successfull waranty claim !Now! Samils address is unit5 61 Lavender St Milsons Point 2061 Go get em folks. Bill Flint. I recently noticed my power bills going up and up. Turned out the Inverter had carked it. Lots of problems at first with Samil but I do now have a new inverter that I had delivered free but had to pay a person myself to install. Cost me $110 but I had lost far more than that in solar savings to I thought why would I bother with trying to get the money from Samil The original installation company won't have anything to do with them anymore as they owe them money. Just found this site when I was going to fill out the return form for them to pick up the faulty inverter. Hi Sally We had luck with one Samil inverter recently. Squeaky wheel makes gets the oil, but I guess it doesn't help if they are not answering their phone. I have had dealings with Samil over the past fortnight and have now come to a brick wall. Sent the warranty claim and they said I should have the inverter dismantled and ready for return to their workshop in Sydney which has been done and now nothing. No replies and unable to get through by internet or phone. Samil power are a joke. Good luck getting hold of them. Ring the number, does not even dial. Never buy one of there products now or in the future. H Denis, as I understand it, under Australian Consumer Law, it is the responsibility of the company who sold you the system. But while Samil is still around, it's best dealing with them I guess. I'm not sure why Samil bother to stay in business in Australia. They are useless with warranties so have lost the trust of the industry. I can't imagine them selling many inverters ever again - even if they do improve it. Let us know if you have any luck. Hi Nicola, Samil have been a pain, but more importantly, who sold you the system? It is first their responsibility. If they have gone bust, call my team at MC Electrical. 32683836. We will help you with your warranty. I am currently going through the warranty process for my Samil Inverter - I am getting now where fast - loosing money on my solar each day. After lodging the claim 7 days ago, and not hearing a word. I was told to pay an electrician and send the inverter to Samil - all at my own cost! Is this really the correct procedure when my inverter is under warranty!!!! Interesting! Thanks for letting us know. Let's hope they keep it up. Unfortunately, I think it will be hard for them to regain any type of reputation - but we'll see! Our Inverter was put in this morning by a representative from Samil he was not sure if it was a refurbished one as he normally replaces them with these!! But as ours was sent direct to us he feels it may be a new one!! Let's see how we go. Amazing how they suddenly got in contact with you !! Great News Samil! Hopefully you come through with the goods this time. Had to open box Inverter looks brand new a company called sunshinesolarelectrics are going to be putting it in. They were surprised that I had it !! So will find out this week !! Wow, so they are still around! Thanks for letting us know! We'll keep hassling them then! I have had a broken inverter since May and have emailed Jack and then had to fill out a form back in April then nothing so began again I got an on line person who says they had none available but we could purchase another for a small amount!! It was much larger so said no the long and short is supposedly getting one sent this week!! One suddenly appeared!! As you said probably a second hand one I am so frustrated and don't know where to go now. Bugger. The problem with this is that as a supplier to the customer, we are responsible to the customer if the inverter manufacturer goes bust, or refuses to cooperate. Samil really have made a mess out of their warranty issues. Hi Tash, I'm surprised you had one replaced last month - The best and quickest way we can help you is to replace it with a decent inverter - but this obviously costs more. Call us on 32683836 tomorrow and we can work out the best way to get it sorted. Hi Judi, I'm surprised to hear that you got through to Samil! As far as I understand, it is fair play for them to give you a reconditioned one. I would be hassling them every day until they send you it. And call consumer affairs! Hi, I found this post about Samil. I went through another company to get my warranty and he has gone quiet. I have emailed and phoned Samil and nothing. Have you had any success?